This is Simone Butterfly, poolside. Her hair was less than perfect and her foot was at an awkward angle. Through the magic of Photoshop I was able to re-coif and cover up the offending appendage. I did a little sharpening and adjusting of colors as well. I also added a little pool water in the corner. Marvelous! 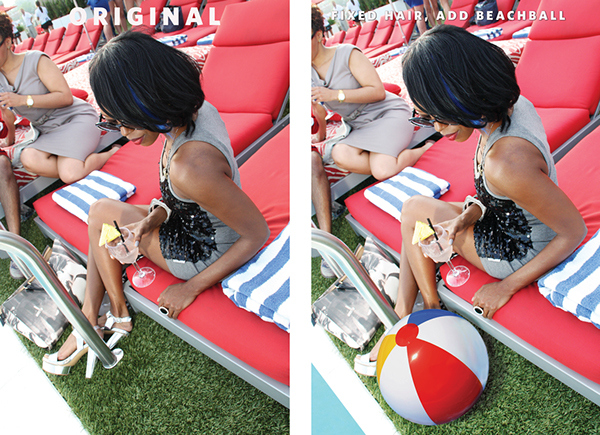 A Photoshop CS6 retouching and manipulation project for Simone Butterfly, poolside.